The British Construction Industry Awards 2018 which celebrate the very best in construction and engineering were announced on the evening of October 10. A special award for the project which the judges considered to be particularly inspirational was awarded to Priors Court, where Archibald Shaw provided civil and structural engineering designs and advice. 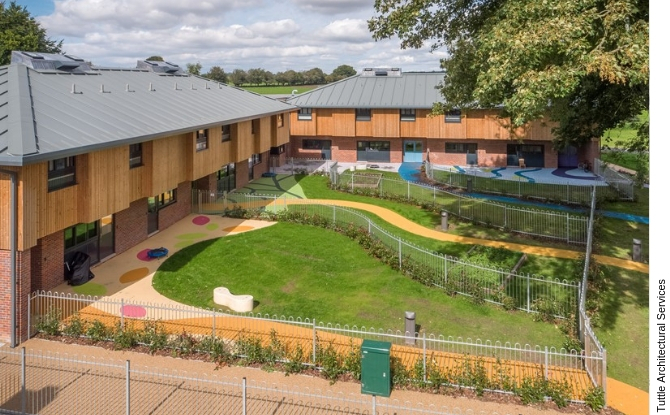 The expansion of the Seasons Children’s Homes for children with autism required close engagement and attention to detail in order to offer a pleasant, safe and durable environment for the children. It is noteworthy that behavioural incidents have reduced by nearly 30% following the move to the new accommodation. The judges commented; “… astonishing to see the impact that design and the environment can have on challenging behaviour”. Archibald Shaw are assisting the Norwich NHS Community Trust with the planned redevelopment of a Norwich Hospital complex which dates to the early 1900s. Current focus has been on identifying and managing geotechnical risks associated with relic subterranean structures, planning consultations and providing civil and structural engineering designs in support of preliminary superstructure and substructure elements of the main hospital building which will have underground parking provision. Archibald Shaw are supporting Ian Adam-Smith Architects with designs for a replacement two storey dwelling in Itchenor, one of the most sought after locations on Chichester Harbour. The building is of modern timber frame construction supported by a piled flat slab foundation. Design of below ground elements account for a variable water table under tidal influence as well a number of local mature trees. 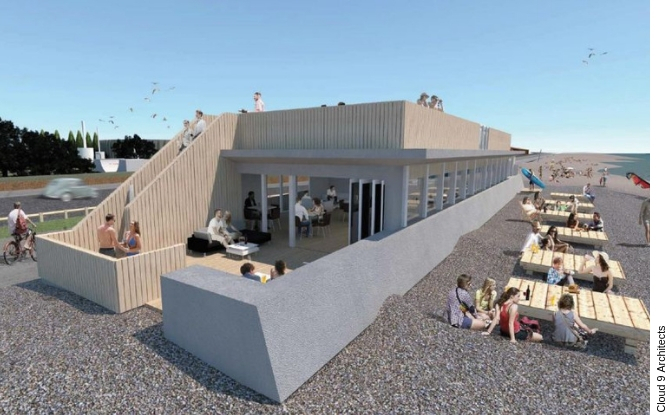 We have recently been instructed to provide civil and structural engineering services in relation to a new café and kitesurf school on Littlehampton beach. The superstructure will comprise a combination of reinforced concrete and steel construction to offer a robust though discreet design within the local severe environment. The foundations will be designed to accommodate beach drift. Designs and construction are progressing well on site with the renewal and refurbishment of this estate. 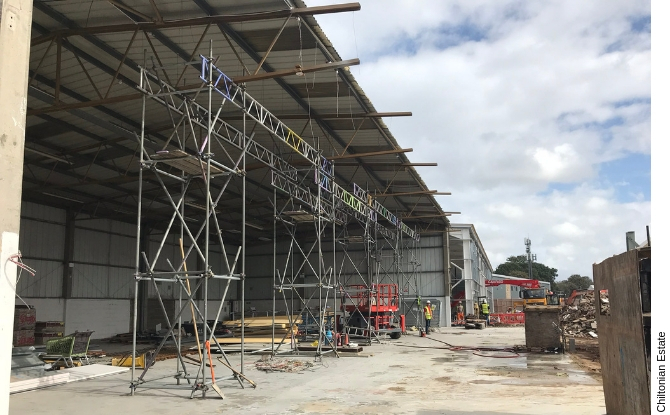 A photograph below records current progress on new units 2,3 and 4 which incorporate a piled flat slab with steel portal frame over. 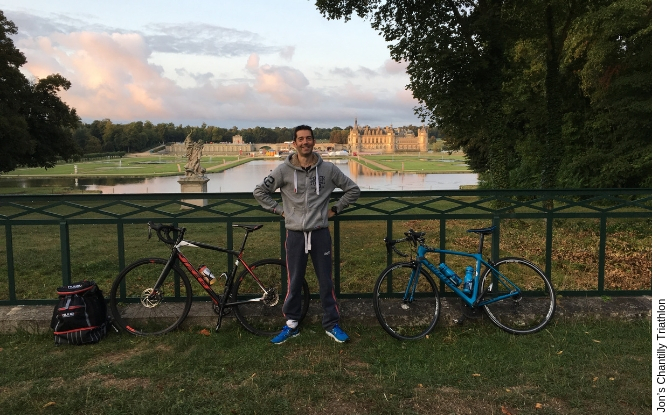 Jon Lord recently competed in the Chateau de Chantilly Triathlon in France. The race consisted of an 1200m lake swim, followed by a 40km bike ride, and finally a 9km run. He was pleased to finish alive and within the top one hundred out of over 350 competitors and was the fifth fastest Brit! Jon and a friend raised over £800 in sponsorship for the Help Children of India charity.